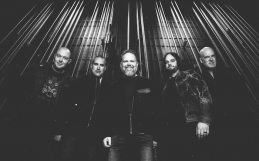 MercyMe – New Album Out Now! It’s here. We couldn’t be more excited about the release of this album. We had a blast making it and are super proud of it. We hope you feel the same. Here’s all the places you can pick up the album. Let us know what you think about it in the comments. LOVE the new album. Such powerful ballads in “Even If” and funky meaningful melodies in “Grace Got You.” But I have to be honest: after giving the whole album a listen from “Lifer” to “Ghost” several times, for the last two days I have had “Happy Dance” on repeat. This is my favorite Christian song to date! I can’t wait to see what comes out of such a catchy song. My daughter and I are having so much fun dancing to that rhythmic beat. Thank you for making life changing music. 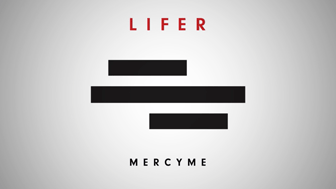 I just want to express my gratitude to God using mercy me to share in a song what it truly means to have trust in God. It’s never been about having all our desires or wants meant but knowing God is the one orchestrating each step, time, and circumstance to bring to himself what he wills. That if nothing else we got to be with God and him be our hope. Our great reward! You could never know what this song “Even If” has meant to me at this time in my life. I sing it all the time in my head and heart. What a blessing that God has used you to bring so much comfort to so many. Thank you. Great cd…but it at cracker barrel and get the bonus tracks!! Even If says all I have felt and want to scream to this world more than any song I have ever heard! You are the voice of angels and I am greatful beyond words.I walk through this world with a very broken heart, and Jesus holds me and all of us with a love unimaginable and your voices and words convey by His grace exactly that. My favorite hymn is It Is Well With My Soul… and now I pray to someday stand with my arms raised as I do at home to the presence of your voices live for you are truly gifts from God! Thank you !!!! !You will never know how you help those like me. Another great Mercy Me album, very 2017. Even if is for me the stand out track with lyrics that just sum up our faith. 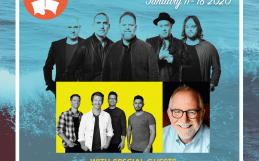 Looking forward to hearing some of it live at the couples getaway in Hawaii . 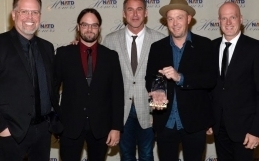 OK, MercyMe! What are you gonna release as singles? I think “Even If”, “Lifer”, and “We Win” would make 3 good singles, but “Happy Dance” would work as well. 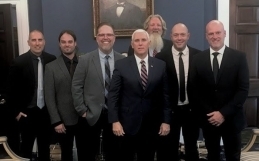 I like all of them, but I got to say, where’s the piano? I am 66 years old, and I went to your concert in Okla. City this summer at Frontier City. I have never been to a funner or more uplifting concert in my life! Everyone stood up and sang all your songs with you! I ran right out the next day and bought 3 of your CD’s!! I have had a very painful and emotional year. Even If, and Happy Dance are my favorites! I thank God for all of you, and for your talent!